DK yarn in three colours. I have used sirdar snuggly DK in colours 419 choo choo train, 344 oatmeal and 456 pretty coral. 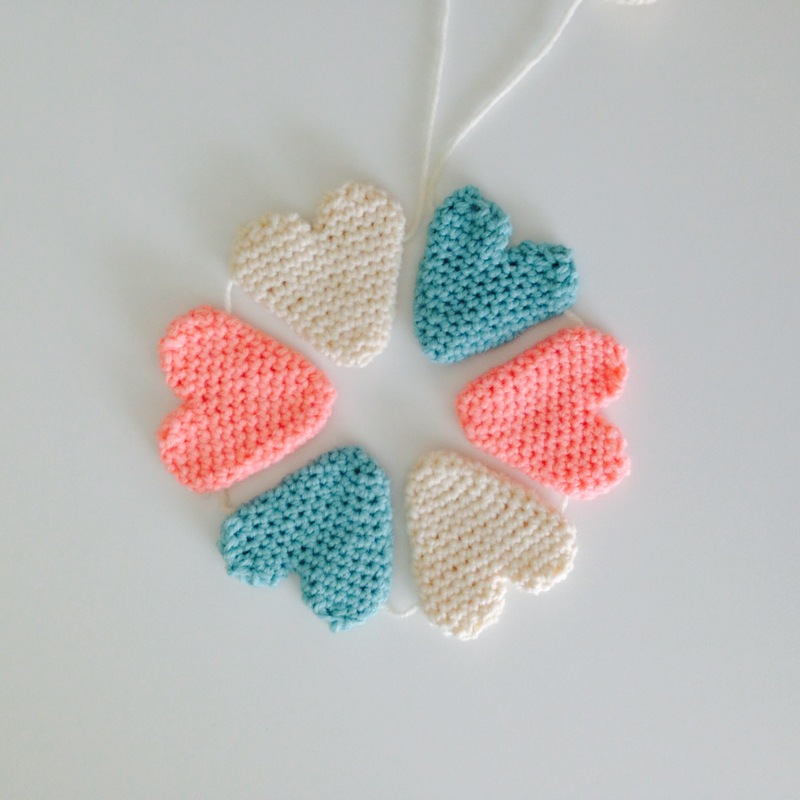 You could really use anything for this project, try lighter yarn for delicate hearts or chunky for a bigger bolder garland. dc = double crochet (US single crochet) insert hook into stitch, yarn over hook and draw through, yarn over hook and draw through both loops. dc2tog = decrease by crocheting two stitches together – insert hook into first stitch, yarn over hook and draw through, insert hook into next stitch, yarn over hook and draw through, yarn over hook and draw through all three loops. This pattern is worked in rounds rather than rows so at the beginning of your round simply continue into the next st.
Also I am left handed if some of my work in progress pictures look a bit backwards! slst to finish. Break yarn and sew in end to close the opening at the top. Repeat rows 2 and 3 once more and finish in the same way. Press heart flat with your fingers so that your shaping falls at the outer edges. Sew in your loose ends. 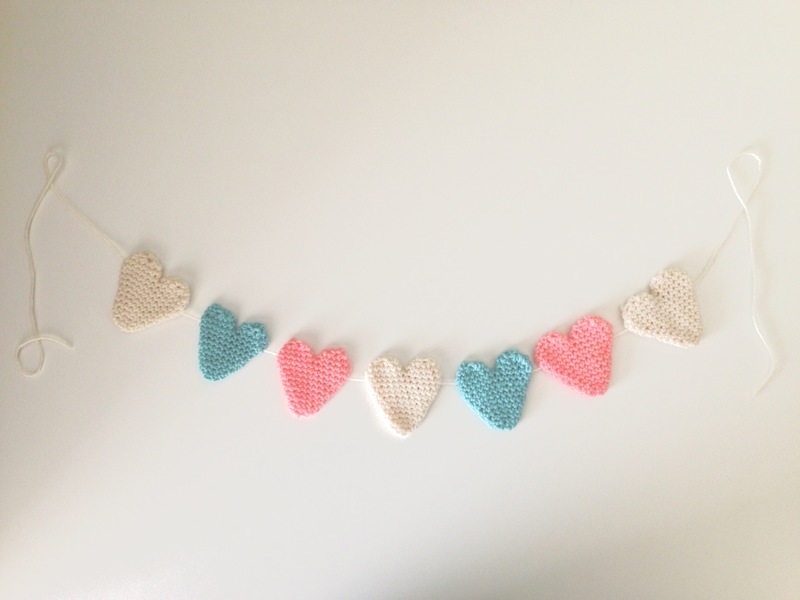 To create a garland like mine you will need 7 hearts and simply thread a length of wool through. You could also use some for a mobile or sew a pin on the back of one to make a brooch, or maybe just leave one on your boyfriend/girlfriend’s pillow, or through their letterbox if they are only your boyfriend/ girlfriend in your imagination.